Xiao Qiang is the founder and editor in chief of China Digital Times, ‘an independent, bilingual media organization that brings uncensored news and online voices from China to the world,’ its website explains. Based in Berkeley, California, the bilingual website takes on Chinese authorities who try to suppress vital information. Last October, a statement appeared on the Weibo account of the Shihezi Public Security Bureau. It called for all residents of the city in northwestern China’s Xinjiang province to surrender their passports to police for “annual review.” It said that, even after the inspection, all passports would “remain in official custody for safekeeping.” Furthermore, any residents wanting to apply for a new passport would have to undergo stringent biometric data screening before their applications would be considered. Shihezi is only the latest of a number of Uyghur-majority cities and towns across Xinjiang to quietly crack down on their citizens’ ability to travel freely. And almost as soon as its statement appeared on Chinese social media, it was taken down, with a “Page Not Found” message displayed instead. But like so many other official pronouncements that Chinese authorities have tried to hide, this statement was preserved for posterity by China Digital Times (CDT), a website that specializes in taking censored content from China and disseminating it for the rest of the world to see. The Digital Times aggregates breaking news circulating on social media that Chinese censors try to hide, and showcase the code words that Chinese netizens use for getting around the censors. It has been especially effective in tracking and exposing Beijing authorities’ censorship directives to state media. All this daily subversion has been taking place since 2003 in the most unlikely of places: a little bungalow in Berkeley, Calif., hidden behind a rose-filled garden. It’s the headquarters for a team of six people who scour Chinese social media sites, identifying sensitive posts before they can be deleted by the tens of thousands of censors thought to be employed by the Chinese government, and then reposting in both English and Chinese. Xiao Qiang came to the United States in 1986 as a physics graduate student at the University of Notre Dame in Indiana. Xiao first came to the United States in 1986 as a physics graduate student at the University of Notre Dame in Indiana. He was working on his Ph.D. thesis in astrophysics when, on June 4, 1989, Chinese government troops opened fire on students demonstrating in Tiananmen Square. Xiao saw the footage on TV and suddenly felt very far from home. Activism overtook his interest in astrophysics. 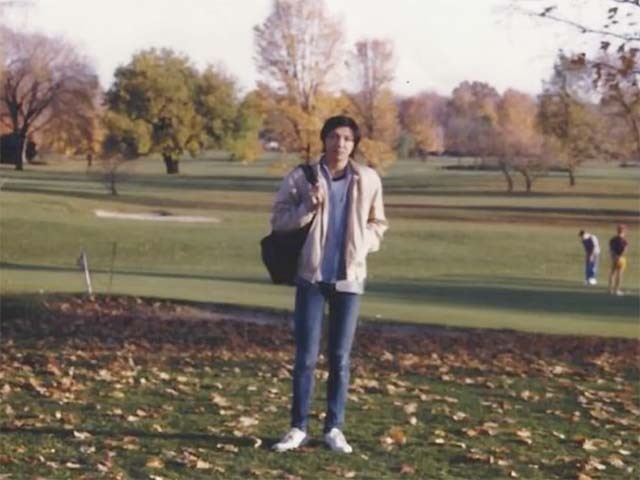 After returning to the United States, in 1991 he became executive director of Human Rights in China, a New York-based nonprofit organization working with the families of political prisoners. He left the job not long after receiving a 2001 MacArthur Foundation “genius” fellowship that included a $500,000 grant spread over five years. As Xiao cast around for something to do with the grant money, his friend Orville Schell, then dean of the University of California Berkeley School of Journalism, convinced him to come to the campus. Xiao began teaching about human rights. And, with his interest in the internet and new media – both taking off in the early 2000s, especially in the San Francisco Bay area – he started a class on new media. “Building a Blog in China” required students to do a class project, which became CDT. At the time, the Chinese government had just built an internet surveillance and censorship system that outsiders dubbed the Great Firewall. Although Chinese social media was rapidly expanding, the effects of government censorship were already apparent – and a new resistance arose among Chinese internet users. CDT’s role was partly to document the interplay between censorship and resistance in China’s cyberspace, and partly to amplify the voices of netizens whose views were being suppressed. CDT now reaches anywhere from 250,000 to 500,000 readers a month, depending on how quickly China’s state censors can block its postings. The English and Chinese websites are always blocked in mainland China, so readers in China must use circumvention technology to reach them. The websites have different features. A section called “Sensitive Words” shows a word cloud of the most censored words “trending” on Chinese social media. “The Grass-Mud Horse Lexicon” serves as a glossary of memes and neologisms created by Chinese netizens to get past censors. It includes a compilation of all 264 terms and code words used to discuss the Tiananmen Square massacre. But CDT was the first to go down this road, and it has played a crucial role in exposing state censorship to the rest of the world. Xiao says he has been at it for so long that government webmasters, resentful of their unpopular tasks, regularly leak state directives to him. He recounts that once, during a routine search of banned key words on a server, he came upon a folder titled “Saved for Evidence.” It contained as many as 800 archived directives. Journalists who regularly scour the Chinese internet and social media sites say that CDT provides a unique service for reporters and netizens alike. Exposing the inner workings of Beijing’s propaganda department also reveals the government’s weaknesses and insecurities. For example, Xiao says, if you see a lot of directives saying, “Do not post speculations about the stock market,” it means authorities fear the conjecture, no matter how natural it is in a society. Under Xi Jinping’s administration, censorship has become even more widespread and extreme. In 2013, Xi launched a campaign of internet repression, arresting people for their posts on the Twitter-like Weibo, televising forced confessions and adding huge amounts of resources to the business of censorship. Yet Xiao, watching from the outside, remains optimistic. He believes that despite Xi’s internet crackdown, Chinese netizens are less and less fearful and are winning the information “guerrilla war” – even though their fight against the state is vastly asymmetrical. “There are more people who believe in greater freedom of expression; that a democratic system, human rights, and dignity, ought to be a vision of Chinese society,” he says. “And there are more and more people who dare to speak truth to power, or at least to make fun of power because they don’t believe those kinds of propaganda efforts anymore.